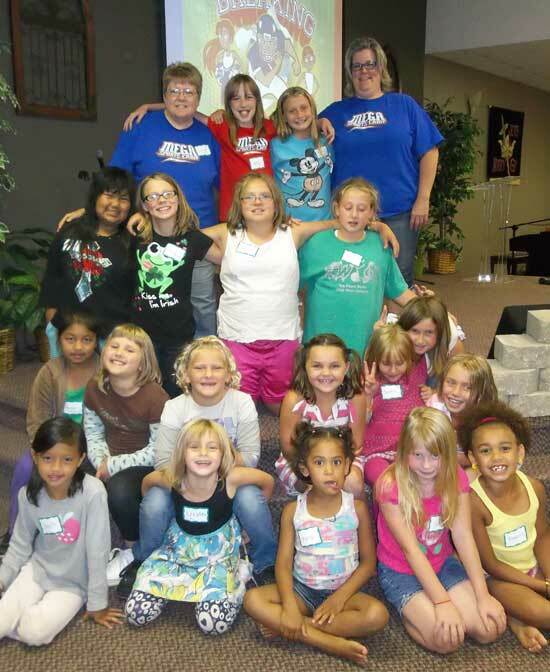 Awana Kid's Club meets on Wednesdays from September through April for ages 3 years through 6th grade. A healthy meal is provided through donations from the clubbers and parents. The meal is served at 5:45 - 6:15 PM. Club starts at 6:30PM and ends at 8 PM. The enrollment fee is only $30 per year for the first child with a $5 discount for each additional child. Sunday we provide two children's churches. One for preschool, ages 3-5 and one for elementary, grades k-5. Children sit with their parents for worship and are then dismissed to go to children's church. We offer Summer camp at Swan Lake in August for grades 2-6 and Sports Camp for grades 1-6 in June or July.